Ron Hoover RV & Marine’s GM John Genardo, GSM Shane Gest and Crystal Horton. Ron Hoover RV & Marine has parlayed its experience in boat sales to become one of the premier RV and boat dealers in the country. 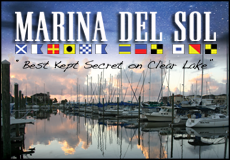 Their superb reputation is based on 29 years of selling quality boats/RVs and providing excellent customer service. They boast 8 locations and 4 convenient dealers in the Greater Houston area including locations in Galveston, Katy and Willis. They also have an RV store in La Marque. Ron Hoover RV & Marine is proud to celebrate a banner sales year for its Cape Horn and Stamas offshore boats. Their sales executives forecast higher sales in the bay boat markets in the near future. 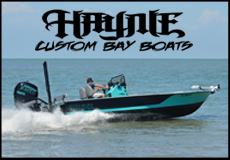 The Crevalle, Blue Wave, Epic, Majek, Hurricane and Carolina Skiff brands are good performers for Ron Hoover RV & Marine. As well as Sweetwater and Aqua Patio pontoons. Their engine offerings include Suzuki, Evinrude, Mercury and Yamaha. They also sell quality used boats checked by their trained technicians during the boat trade process. There has been several new technological breakthroughs for outboard motors in the last few years. Manufacturers are releasing new higher horsepower engines like the Suzuki 350 H Outboard — the first high output engine with counter rotating propellers. According to Ron Hoover RV & Marine General Manager John Genardo, the best breakthrough is the joystick controls. 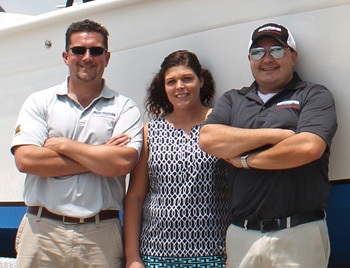 The sales staff has almost 50 years of experience and 80 years in the fishing boat industry. General Sales Manager Shane Gest has 10 years of financial experience and Service Department Manager Don Broussard has almost 20 years of experience. Their techs have more than 40 years of experience. Ron Hoover RV & Marine believes in having the best talent to run and operate its dealerships because boating is a people business. Local General Manager John Genardo operates the Galveston Dealership. He is originally from Chicago and has been in the Marine Industry since 2004 – beginning his career at Ron Hoover RV & Marine. 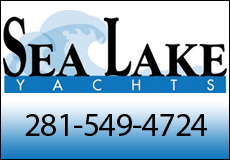 He has a true passion for boating and being on the water and loves to spend time with his family fishing, boating, swimming or just cruising around the lake and bay. When Shane is not working he is passionate about the water and spends as much time with family and friends as he can on a boat. Fishing, tubing or cruising to see fireworks on a Friday night in the summer. If he is not out on the water, you can find Shane playing golf or enjoying a football game. 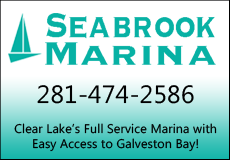 Ron Hoover RV & Marine is the only fishing boat and service company on Galveston Island. It provides parts, service and the unique ability to conduct water demos for boaters. Ron Hoover RV & Marine is your one-stop-shop and even offers in-house financing, insurance and extended warranties. Their new management team believes in people and the local community. Ron Hoover RV & Marine is proud to support Bayou Vista Fishing Tournaments, Ball High School Athletics Department, Bayou Vista BBQ Cook-off Fundraisers and so much more! So, if you are looking for that new or quality inspected used boat, contact Ron Hoover RV & Marine General Manager John Genardo, who will be happy to assist you with all your boating needs.